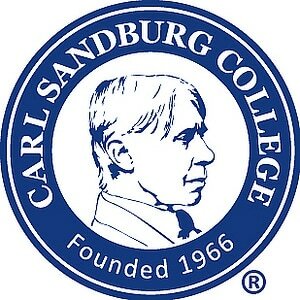 Carl Sandburg College offers a number of special programs. Students can begin to take college courses as early as their junior year in high school through the Dual Credit Program. This program allows students who are academically prepared for college coursework to get a "jump start" on college, thus saving them time and money in the long run. Carl Sandburg College staff work with the high school counselors at the high schools to facilitate registration. Students should meet with their high school counselor to begin the process for Dual Credit enrollment. For the 2016 - 2017 school year, the cost for a three credit hour course is $465.00, or $155.00 per credit hour. There is a $25 registration fee per semester. This cost does not include textbooks. Dual Credit students receive a scholarship of 50% of their tuition for the first six credit hours each semester (or the first 4 credit hours each trimester), excluding summer term. When students enroll, this scholarship will automatically be applied. The scholarship does not apply for the Certified Nursing Assistant course, NUA 100, or summer coursework.